Prior to May 2015, the oil-rich jurisdiction of Alberta had, for over four decades, been a one-party state. During that time, the rule of the Progressive Conservatives essentially went unchallenged, with critiques of government policy falling on deaf ears and Alberta ranking behind other provinces in voter turnout. Given the province’s economic reliance on oil revenues, a symbiotic relationship also developed between government and the oil industry. Cross-national studies have detected a correlation between oil-dependent economies and authoritarian rule, a pattern particularly evident in Africa and the Middle East. 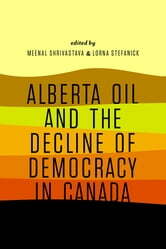 Alberta Oil and the Decline of Democracy in Canada sets out to test the “oil inhibits democracy” hypothesis in the context of an industrialized nation in the Global North. 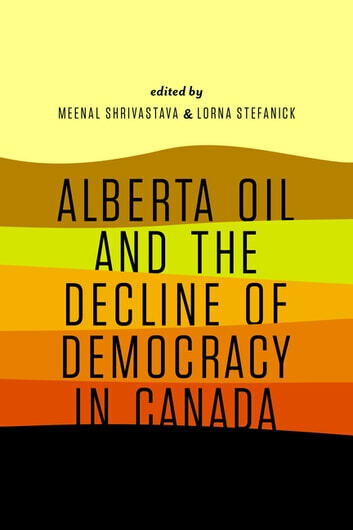 In probing the impact of Alberta’s powerful oil lobby on the health of democracy in the province, contributors to the volume engage with an ongoing discussion of the erosion of political liberalism in the West. In addition to examining energy policy and issues of government accountability in Alberta, they explore the ramifications of oil dependence in areas such as Aboriginal rights, environmental policy, labour law, women’s equity, urban social policy, and the arts. If, as they argue, reliance on oil has weakened democratic structures in Alberta, then what of Canada as whole, where the short-term priorities of the oil industry continue to shape federal policy? In Alberta, the New Democratic Party is in a position to reverse the democratic deficit that is presently fuelling political and economic inequality. The findings in this book suggest that, to revitalize democracy, provincial and federal leaders alike must find the courage to curb the influence of the oil industry on governance. An Independent Foreign Policy for Canada?